We are God-called members, brothers and sisters in Christ, husbands along with our wives—striving side by side to effectively and joyfully reach the world with the Good News. The Gideons International was established in 1899. Our founders realized that Christian men needed to be continually strengthened in their walk with the Lord, and that by standing together in faith, they could accomplish great things for God’s Kingdom. Those formative years focused on who a man was before God and the strength and power of his personal testimony. Through associating together for service, Gideons challenge each other to strengthen their testimonies for Christ and fulfill their God-given responsibilities as spiritual leaders in their homes and churches. Members of The Gideons International share our faith because we realize how often people today need someone to come alongside them in finding their way to true salvation that is available only through the grace of God. As opportunities arise, we take time to share the Gospel message with friends and family, business acquaintances, and other people we meet who are struggling in their daily lives. We believe distributing copies of God’s Word plants powerful seeds God can use according to His own timing (I Corinthians 3:6), allows many to read the truth for themselves (John 8:32), provides a lasting witness (Hebrews 4:12), and makes it easier for those we reach to boldly spread the Good News (II Timothy 2:2). Members of The Gideons International personally witness and distribute God’s Word to police, fire, and medical personnel; prisoners; military personnel; students in the fifth grade and above; and to those with whom they interact on a daily basis. Scriptures are also placed by Gideons and Auxiliary in key locations, including hotels, motels, hospitals, convalescent homes, medical offices, domestic violence shelters, prisons, and jails. The Gideons International began distributing the Word of God in 1908. Today, there are more than 269,500 Gideons and Auxiliary – and an untold number of supporters – in some 200 countries, territories, and possessions across the globe. These dedicated individuals have given their time and money to make it possible for others to learn about the love of God by giving them access to His Word. 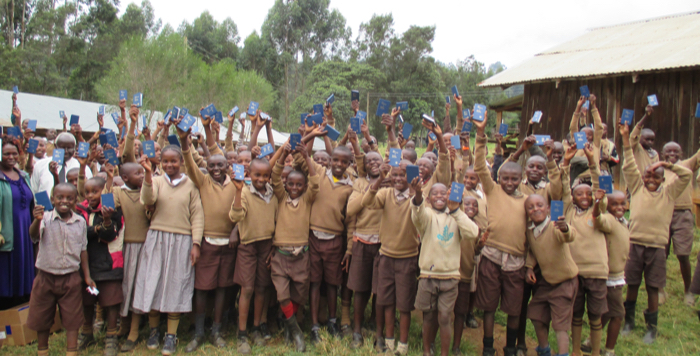 We have placed and distributed more than 2 billion Bibles and New Testaments around the world. In the autumn of 1898, John H. Nicholson of Janesville, Wisconsin, arrived at the Central Hotel at Boscobel, Wisconsin, for the night. The hotel was crowded, but he was offered a bed in a double room with Samuel E. Hill of Beloit, Wisconsin. The two men soon discovered they shared a common belief in Christ, and they decided to have their evening devotions together. During their prayer time, both felt the call to begin developing an Association. On May 31, 1899, the two men met again at Beaver Dam, Wisconsin, where they decided the purpose of their Association would be to band Christian commercial travelers together for mutual recognition, personal evangelism, and united service for the Lord. They decided to call a meeting in Janesville, Wisconsin, on July 1, 1899, in the Y.M.C.A. Only three men were present at the meeting in Janesville: John H. Nicholson, Samuel E. Hill, and Will J. Knights. 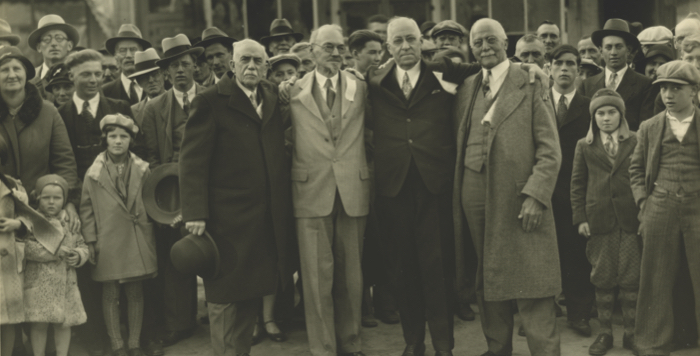 They organized with Hill as president, Knights as vice president, and Nicholson as secretary and treasurer. When it came time to decide the name of the Association, the men held a special prayer time to ask that God might lead them to select the proper name. After, Mr. Knights arose from his knees and said simply, “We shall be called Gideons.” He then proceeded to read the story of Gideon from the sixth and seventh chapters of Judges. In light of the fact that nearly all of the Gideons in the early years of the Association were traveling men, the question naturally arose as to how they might be more effective witnesses in hotels. One trustee went so far as to suggest that The Gideons supply a Bible for each bedroom of the hotels in the United States. He commented, “In my opinion, this would not only stimulate the activities of the rank and file of the membership, but would be a gracious act, wholly in keeping with the divine mission of the Gideon Association.” This plan, which they called “The Bible Project” was adopted at Louisville, Kentucky, in 1908. The idea of churches contributing to the support of the Gideon Scripture program originated with a pastor. Just two months after the 1908 Louisville Convention, a state convention was held in Cedar Rapids, Iowa. National Secretary Frank Garlick and Mr. A.B.T. Moore attended a meeting of the Ministerial Union. 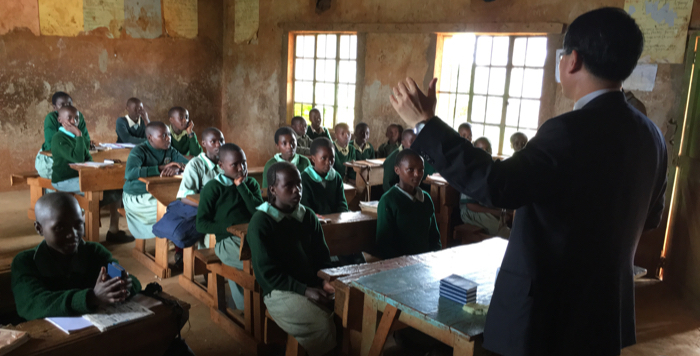 After their program, they asked if Garlick could inform these minsters from around the world about the work of the Gideon Association. Garlick delivered a short yet inspired speech advocating for the need of Bible distribution. At the close of his brief address, Mr. Moore’s own pastor, Dr. E.R. Burkhalter, arose and moved, “…that Gideon Bibles be placed in all local hotels and that the Ministerial Union be responsible for the funds.” The motion was unanimously carried and a committee appointed to allocate the cost to the churches, according to their strength. It has been over 100 years since The Gideons International placed the first Bible in a hotel room in Montana. Through the grace of God and through the loving support of the local church and countless donors, more than 2 billion Bibles and New Testaments have been placed through our Association. The distribution of our first billion Scriptures by Gideon members spanned 93 years (1908 to 2001). Distribution of our second billion, however, was completed in just 13 years (2002-2015). On average, more than two copies of God’s Word are distributed per second and over one million Bibles and New Testaments are distributed every four days. See how The Gideons International is faithfully stewarding the financial resources the Lord has entrusted to us.